We are very excited about this wedding because not only is the couple close to our hearts, they are also one of the first clients of our Wedding Agency/Consultancy. We also collaborated on a "Rebellious Bride" shoot with the bride, and Rebellious Bride Mica is going to be their makeup artist. 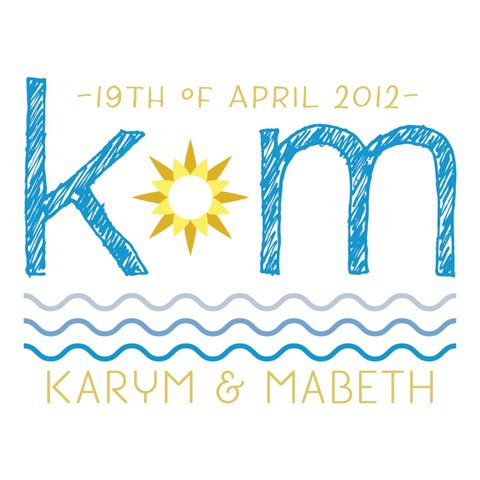 The monogram definitely speaks of the couple's personalities--especially the bride. It actually even looks like it could pass for the bride's own doodle! Props to Fozzy Dayrit of The Fozzy Book!